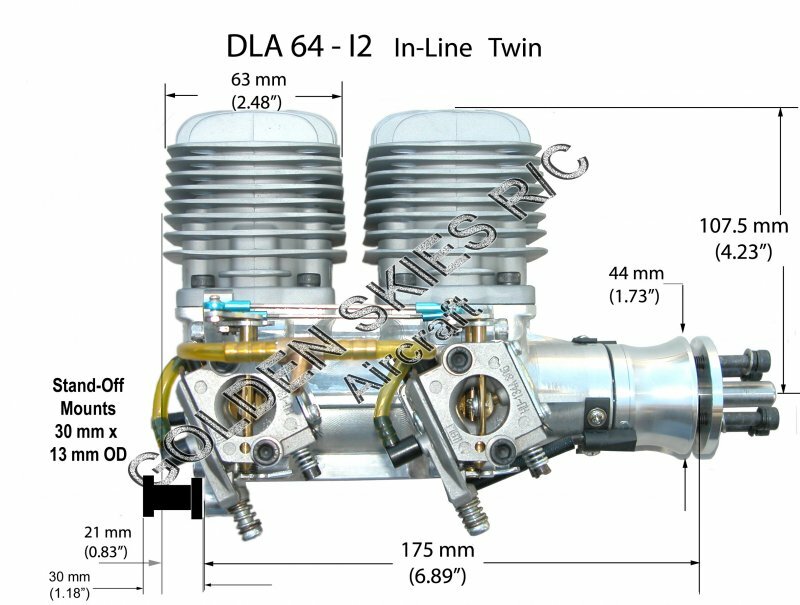 The New DLA 64cc-I2 In-Line Twin engine is specifically design for Scale War-birds and other aircraft with narrow cowls. 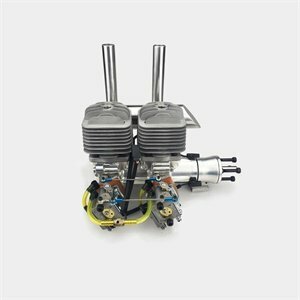 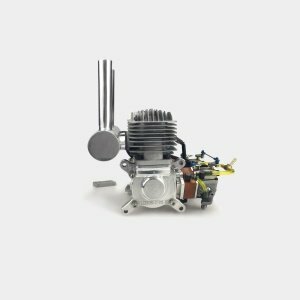 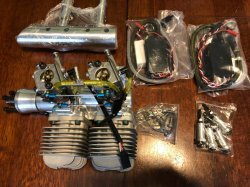 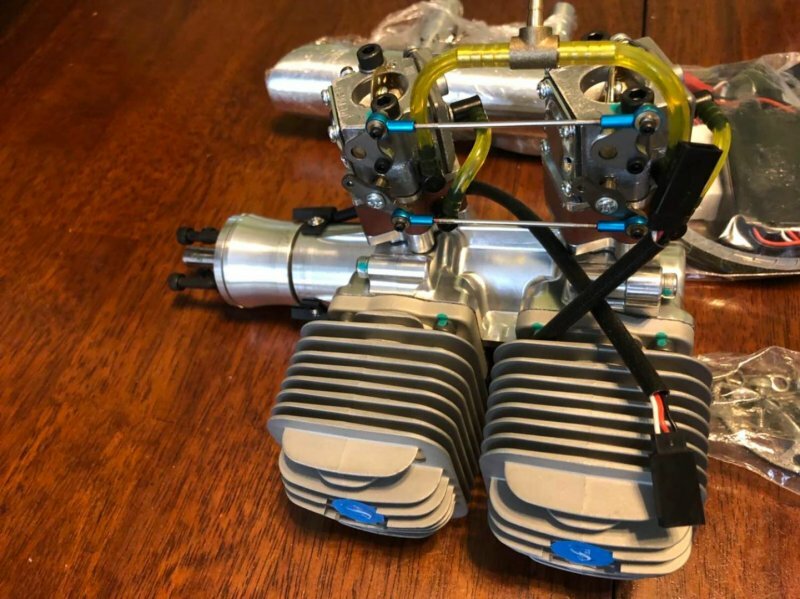 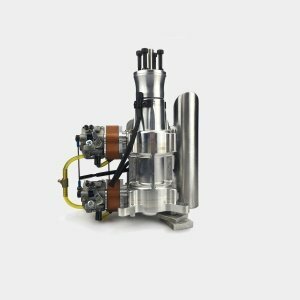 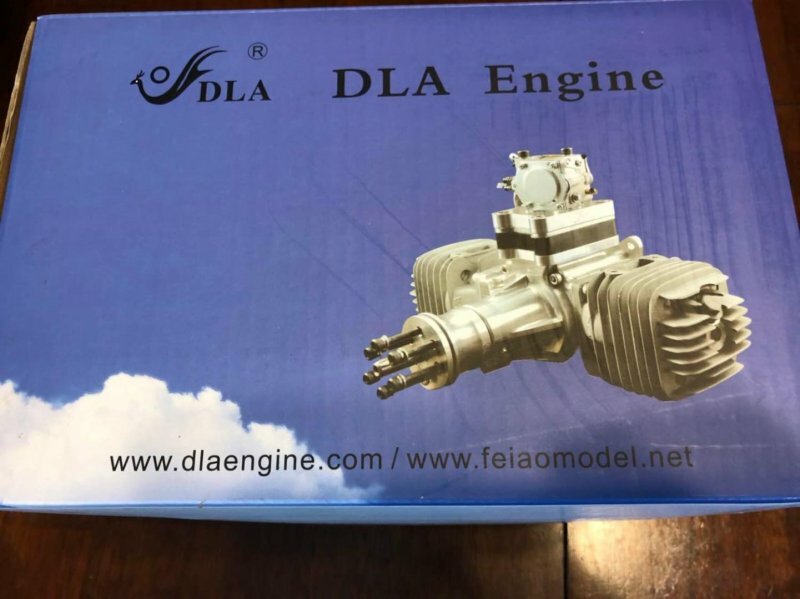 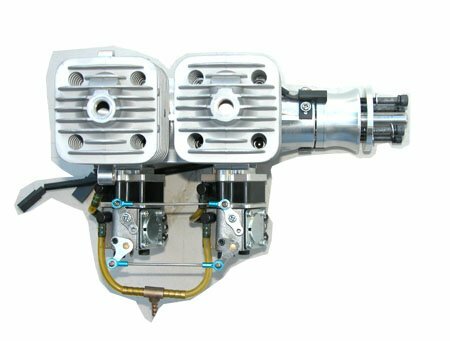 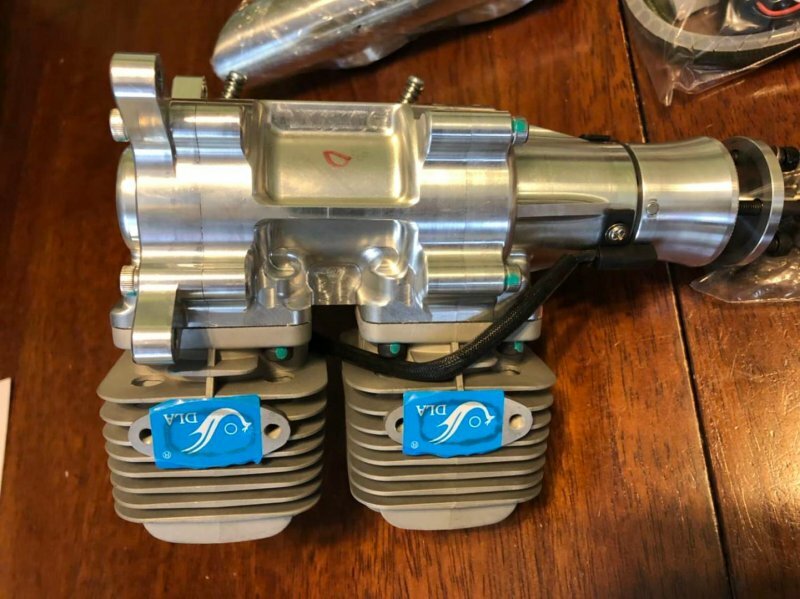 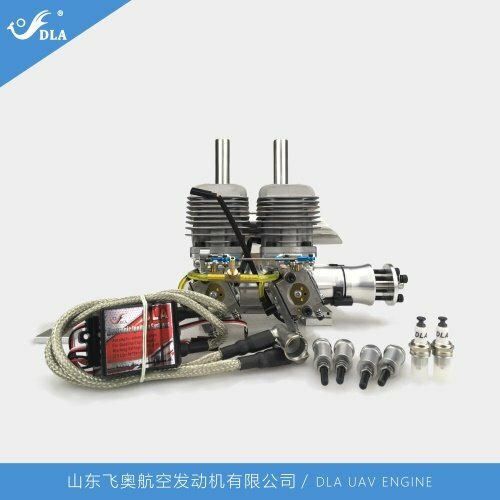 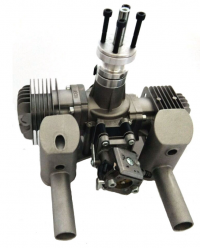 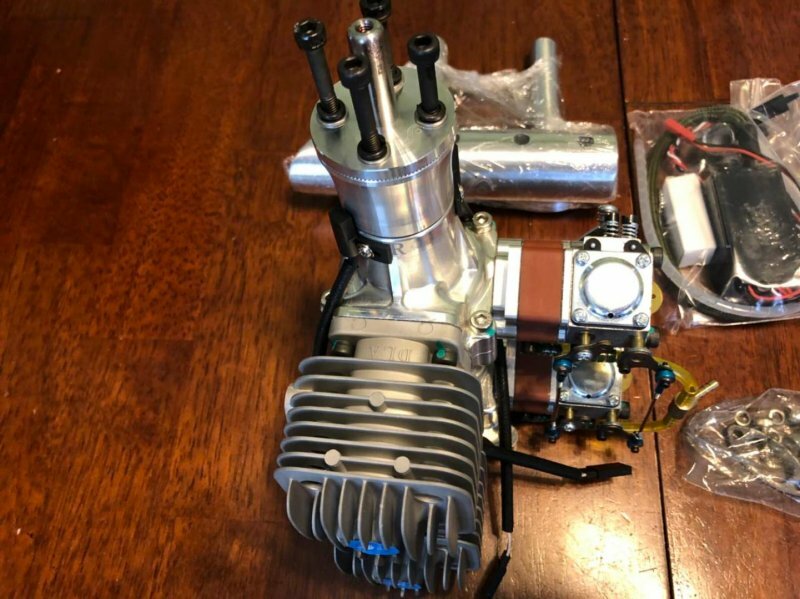 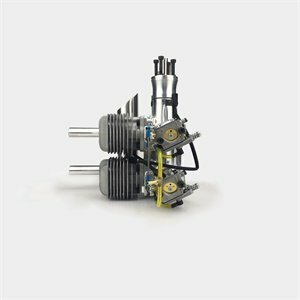 These newly released DLA 64cc-I2 engine run smoother, transition faster, and provide greater power. 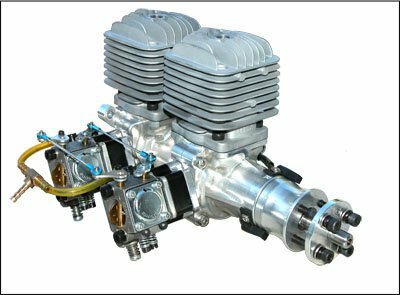 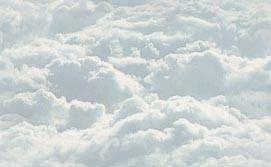 This is one of the best power to weight combination for your 20-25% (WS: > 85") gas aerobatic/3D airplanes. 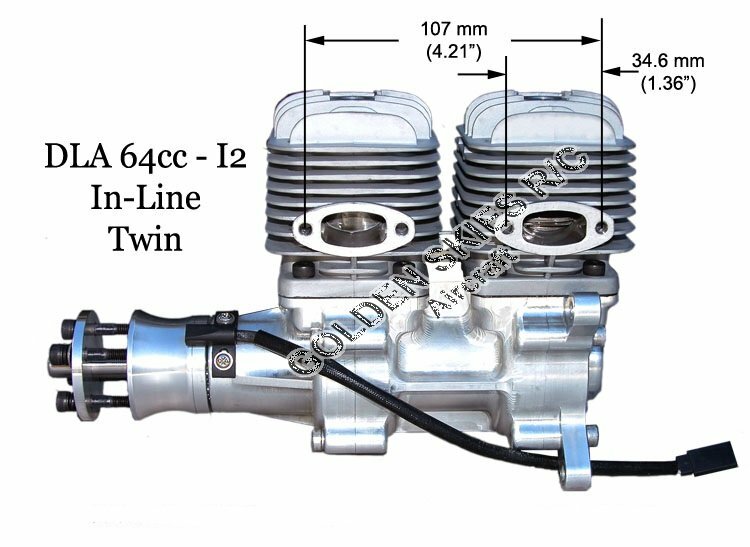 Dimension: Width: 7.0", Height: ~5.9", Length: 6.89"